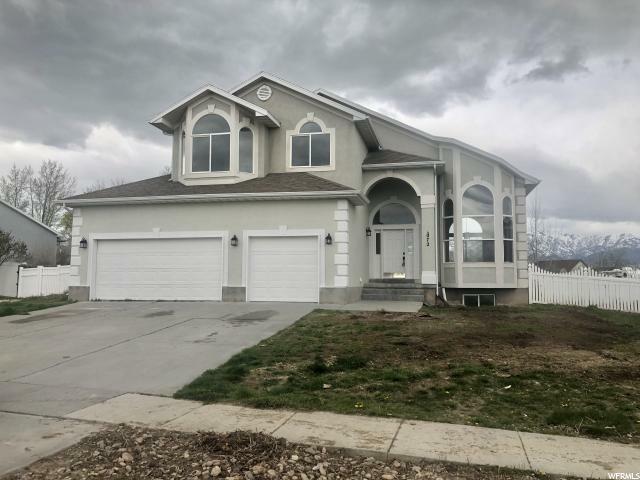 All Grantsville homes currently listed for sale in Grantsville as of 04/23/2019 are shown below. You can change the search criteria at any time by pressing the 'Change Search' button below. 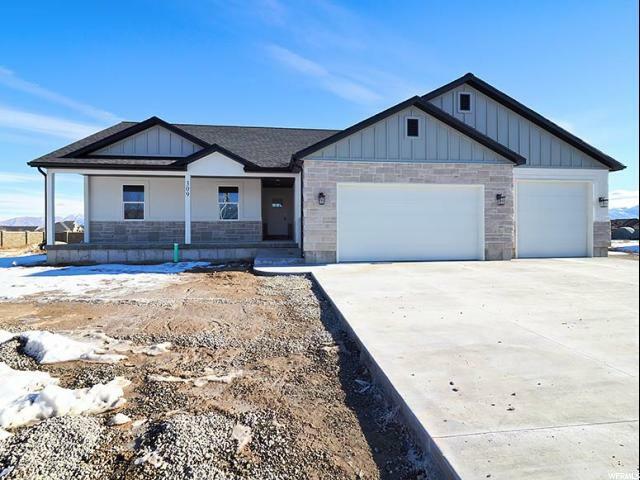 If you have any questions or you would like more information about any Grantsville homes for sale or other Grantsville real estate, please contact us and one of our knowledgeable Grantsville REALTORS® would be pleased to assist you. "SPACIOUS -VERY MAJESTIC,WARM FEEING CUSTOM HOME. 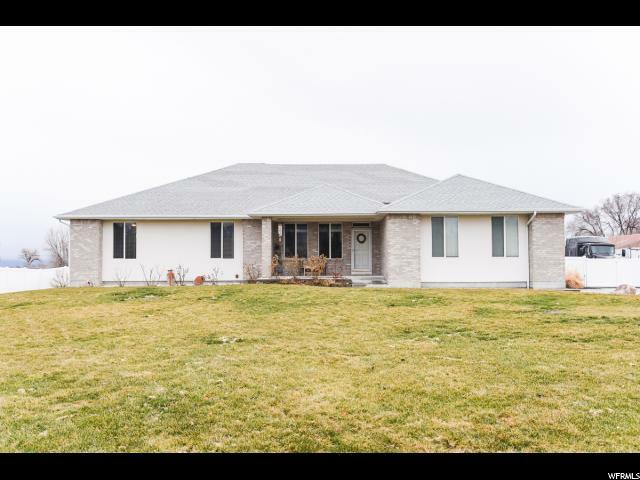 THIS HOME IS A BEAUTIFUL SPARKLING CUSTOM HOME ON A GREAT ACREAGE. CUSTOM THROUGHOUT LIFTED CEILINGS IN THE FAMILY ROOM WITH A FIREPLACE ROCK ALL THE WAY TO THE HIGH CEILING /LIFTED HEARTH. RAILING, GRANITE, CUSTOM LIGHTING, TWO LAUNDRY ROOMS UP AND MAIN, FORMAL DINING, LIT STAIRWAYS, THERE ARE SO MANY CUSTOM OPTIONS TO LIST IT IS A BEAUTIFUL CUSTOM HOME BUILT BY THE BEST CUSTOM BUILDER HERE. 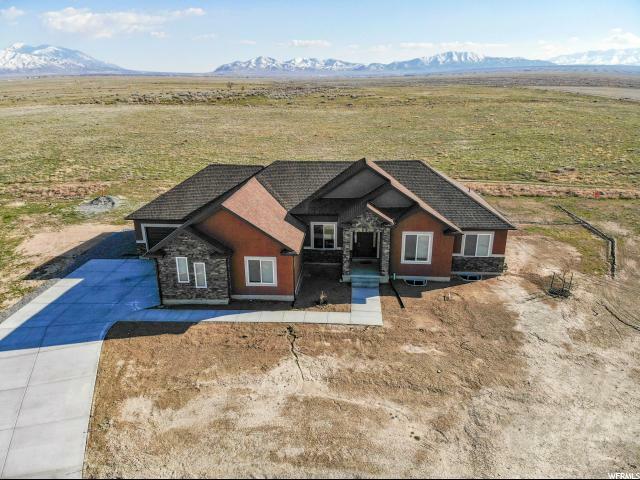 THE OPEN VIEWS ARE MOUNTAINS AND FARM LAND, A OVER VIEW OF THE GREAT SALT LAKE. CLEAR TO THE SALT LAKE VALLEY. FRESH WELL WATER." "Gorgeous panoramic views! This home is loaded with amazing amenities. Stunning family room with theatre-surround sound, lots of natural light! Workout gym + dry storage in the basement - future kitchen too! Beautiful garden beds-tons of fruit trees. Thirty three trees including peach, cherry, pear, apple and plum. Handicapped equipped shower in Master. The basement boasts a private movie theater. You'll never want to leave the cozy sunroom. The sunroom is heated with a top of the line pellet stove so it can be used year round! Fully Fenced backyard with dog fencing too. Shop is built to support a professional race team. Plumbed and wired to work. Insulated to R30 + Finished like a house. The other half of the shop is a stable for horses and a hay barn with a special floor drainage system. Stable is 16 x 40 along one side, race car shop is 14' x 40' and Pull through shop is 30' x 40' -perfect for horses, cars and storage for hay and belongings. It is a must-see! Easy access to horse riding areas. The R34 insulated and sound deadened shop that stands away from the house would be a great place for teenagers to chill, a Man cave, or a place to practice musical instruments or a private dance studio. Would make a great games room or toy room. Also on the house, This house has been built to a very high standard even at 5600 square feet the 6-inch walls are so well insulated the highest winter gas bill was $75 for a month. This house is built to relax in, whether it's reading a book in the sunroom next to the fire or escaping to your own private movie room. or puttering in the garden its all about relaxation. " 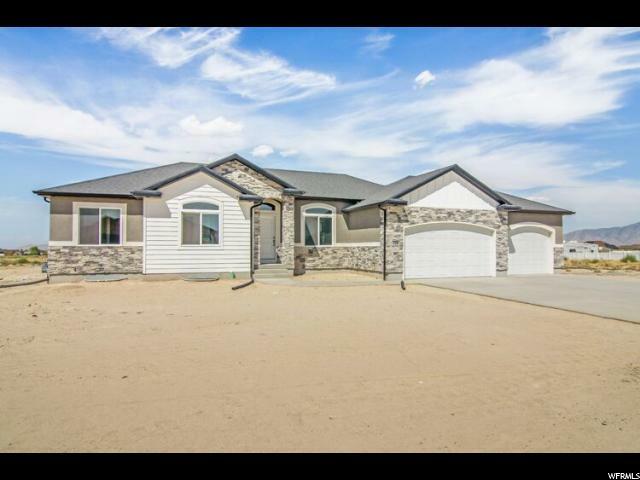 "Here is your chance to own a beautiful 2 Story custom home on 1 acre horse property in Grantsville. Your new home offers heightened ceilings throughout the main floor with a 2 story entry way. Mud room with custom cabinetry, and lots of storage, kitchen with all appliances included, double ovens, gas cook top, large kitchen island, granite counter-tops, open living space, atrium doors out to covered patio, french doors to a office/den/living room. The second floor contains your laundry room wisely located near 3 spacious bedrooms and the master bedroom suite. Master Bathroom features a steam shower and deep soaker tub. Huge Master bedroom has door out to private balcony for you to enjoy the view or simply get away from it all. you can't forget the basement with has 9' ceilings and a walkout entry to the backyard. 2 bedrooms, full bathroom, family room, and lots of flex space complete the interior of the home. Backyard won't disappoint with playground space and lots of additional room. Check out the photo tour for more! " "This home is stunning! You won't want to miss it! Hurry before it is gone. 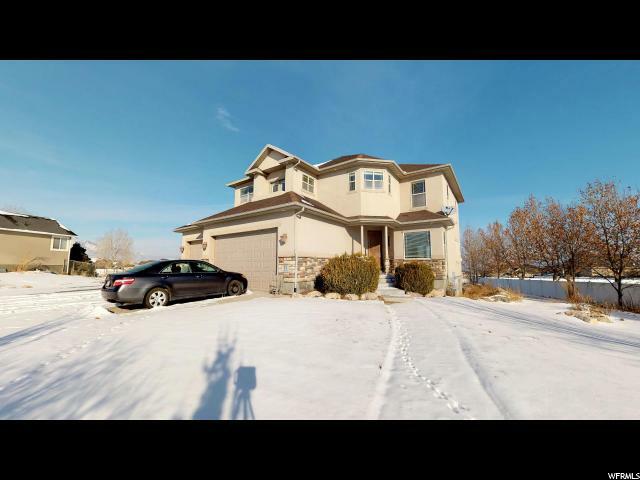 Granite-Tile-Ship Lap-Gorgeous Cabinets-2 Fireplaces- 4183 sq ft- 0.57 acres- Possible Horse Property with city's conditional use permit - upgrades galore - 3.5 baths + 7 bedrooms! 2 refrigerators included!" "Beautiful custom home with all the bells and whistles that get you excited. Gourmet chef's kitchen complemented by custom cabinets, spacious granite counter tops and everybody's favorite gas stove. Kitchen is stubbed for a double oven. Open floor plan great room concept perfect for relaxing in front of the fireplace on a cold winter night. Master suite with separate tub, shower and huge walk-in closet. Basement is stubbed and ready for a second kitchen to be installed, flowing perfectly outside through the walkout basement access onto an amazing stamped concrete patio. This home is ready for you to bring the horses and make it your own country retreat. Located in a very friendly and quiet neighborhood close to shopping, entertainment, the great outdoors and fabulous freeway access. " "This home shows extreme pride of ownership! Very open and spacious floor plan. Hardwood flooring throughout home. Home is in very desirable Palamino Ranches. There is a full mother-in-law apartment in the basement with a separate entrance. Master Bath recently updated!" "This exceptionally well kept and updated custom home is ready to see! Don't miss the 100% finished basement along with the shop! It's every man's dream to have their own space. The shop is plumbed for a bathroom and a kitchen. This home has two water heaters, lots of upgrades, and lots of concrete. Come see how clean and comfortable this beautiful home feels! " "Desirable horse property in prestigious Blake Mountain Estates. Offers 5 full beds, 3 full baths. Contains 30 X 40 unattached garage/shop accessed by drive along side of house and landscaping shed. Yard 90% fenced. 2 irrigation shares included with value of $7500 each. Unattached RV parking cover not included." 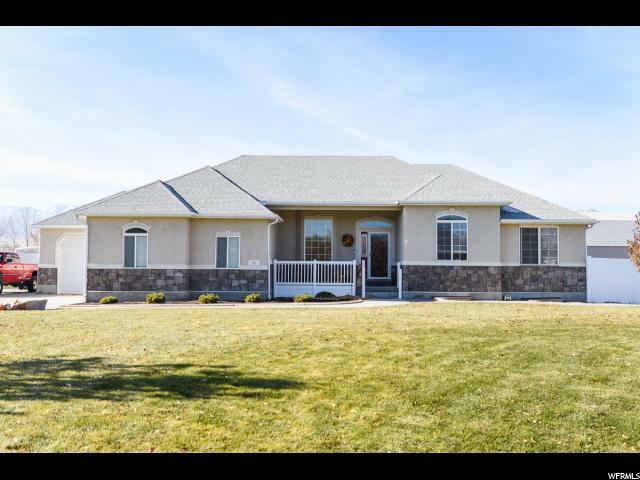 "Located in Coveted South Willow Ranches - Beautiful Neighborhood! This 2/3 Acre property is ready for all of your stuff + your family! 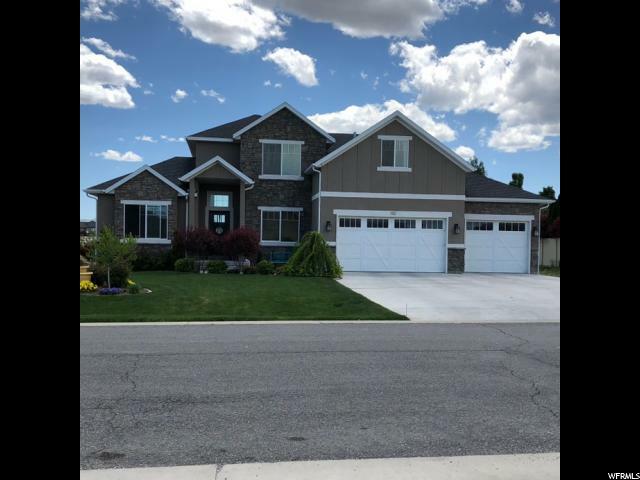 It features 6 bedrooms, 3.5 Baths, family area and spacious kitchen with upgraded cabinets, granite counters, tile backsplash and new state of the art stainless steel appliances. The yard is huge + playground + trampoline are included. The basement is completely finished and has a wonderful family theatre room. Basement is ready for a kitchenette. This home is a must-see! Home is only 35 minutes from Salt Lake City with Backyard full of mature trees. " 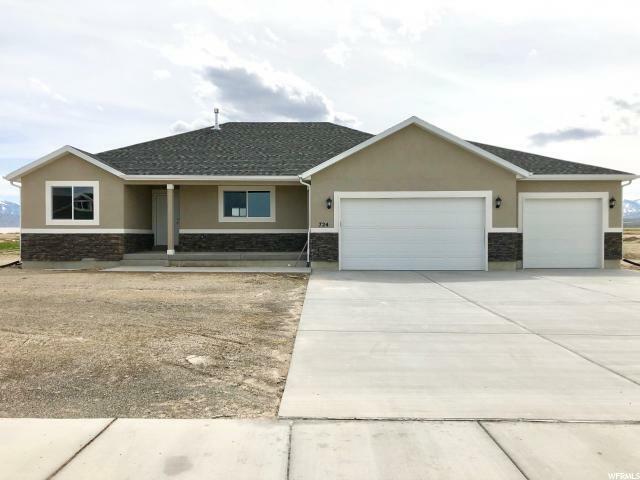 "No need to wait for a home to be built, this one is newly remodeled 2018, 100% finished BEAUTIFUL HOME, nestled in a desired neighborhood that will be your extended family. Clean, Lovely Appointed Decor, Come and see the family friendly yard, with 2 RV parking spaces, spacious shed, garden spot, in ground tramp, swings for the kiddos. Granite in Kitchen coming soon. You'll love it..."
"NEW CONSTRUCTION HOME WITH FINISHED BASEMENT!!! 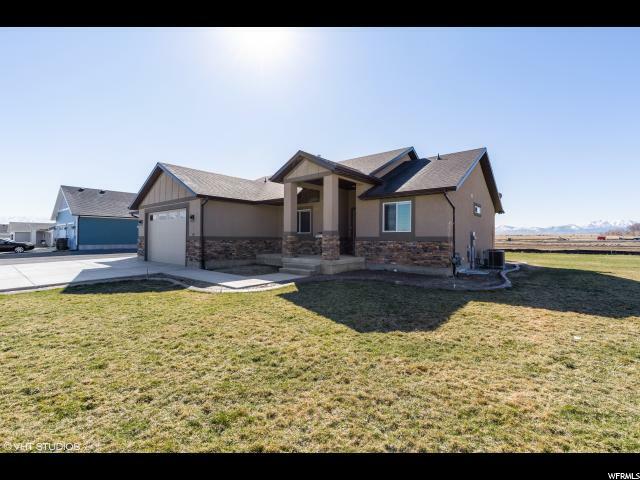 Beautiful and spacious Grantsville rambler . Includes all the upgrades with a modern look and feel. Beautiful 6cm granite counter-tops through out, stunning euro glass master tile shower with dual shower heads, 3-tone paint, custom soft close cabinetry, finished 3-car garage, vaulted ceilings, recessed lighting everywhere, and a gorgeous stained banister with a rod iron railing. Beautiful stained mantel surrounding the fireplace. Stainless steel appliances AND refrigerator INCLUDED! This home has two Furnances and HVAC Units. 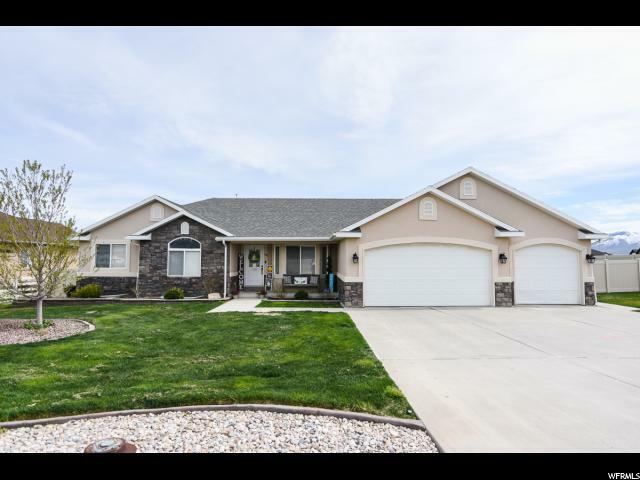 Come check out this home it won't Last long. Buyer/buyers agent to verify all. " "OUR STANDARD FEATURES ARE THE OTHER GUY'S UPGRADES!! HURRY NOW TO CHOOSE YOUR INTERIOR AND EXTERIOR COLORS! Open and functional functional floor plan. 3-car garage is STANDARD! Stunning euro glass master tile shower, 3-tone paint, stained knotty alder soft close cabinetry, vaulted ceilings, recessed lighting everywhere and a gorgeous stained banister with a rod iron railing. Beautiful stained mantel surrounding the fireplace. Stainless steel appliances AND refrigerator INCLUDED! MUCH MUCH MORE! This home is in our BRAND NEW Saddle Horn subdivision. NO HOA. Limited lots that will go fast! The floor plan is customizable. TOTAL BUILD PROCESS TIME IS APPROXIMATELY 90 DAYS. More floor plans and lots available. Please contact the agent for more information today! Buyer and buyer's agent to confirm listing information." "This home is better than new. It has so many upgrades from the base model new homes and is on one of the largest lots in the neighborhood. Enjoy entertaining all year round in the extra large kitchen, great room and formal dining room that has an open flow. In warm weather you can sit on your covered patio and enjoy the stunning view. The master suite is luxurious and the garage has room for your cars and toys. Plus, the home is so energy efficient and very quiet. The seller had every exterior and interior wall insulated. The low utility bills are a great bonus! Buy now, instead of waiting months for a builder. The front landscaping will be done before closing." "Assumable 3.25% Loan - Huge Custom Built Rambler - 9' Ceilings - Tall Custom Cabinets - Granite Counter-tops - Beautiful Finished & Upgrades - Double Sinks, Bay-box Windows - Custom Landscape, Veggie Garden Boxes, RV Parking Area, Full 6' Privacy Fenced Backyard - Very Clean, Cared for Home - Bring Your Fussiest Buyers!!" "You dream house has granite counter tops, shaker style cabinetry, tile floors and a master with a tile shower and garden tub. 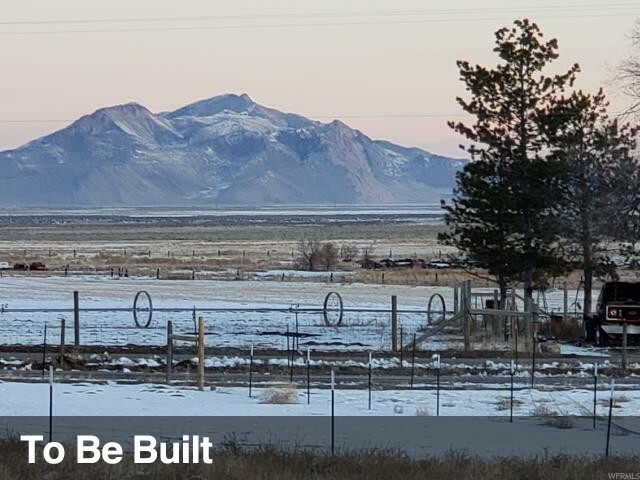 It is on approximately an acre of horse property with mountain views all around also views of the Great Salt Lake. They will be building soon. Get in now to pick your finishes. Refrigerator included. Square footage figures are provided as a courtesy estimate only and were obtained from plans_ . Buyer is advised to obtain an independent measurement. Taxes may be more or less. Photos are of other builds from this builder provided to help visualize finishes may or may not be included in this home. " "OUR STANDARD FEATURES ARE THE OTHER GUY'S UPGRADES!! Open and functional functional floor plan. 3-car garage is STANDARD! Stunning euro glass master tile shower, 3-tone paint, stained knotty alder soft close cabinetry, vaulted ceilings, recessed lighting everywhere and a gorgeous stained banister with a rod iron railing. Beautiful stained mantel surrounding the fireplace. Stainless steel appliances AND refrigerator INCLUDED! MUCH MUCH MORE! This home is in our BRAND NEW Saddle Horn subdivision. NO HOA. Limited lots that will go fast! The floor plan is customizable. TOTAL BUILD PROCESS TIME IS APPROXIMATELY 90 DAYS. More floor plans and lots available. Please contact the agent for more information today! Buyer and buyer's agent to confirm listing information." "Enjoy country living at its best! Situated on a quiet dead-end street with no back yard neighbors to the North or East! Enjoy great family gatherings with this large open floor plan and vine covered patio. Master bath with separate tub/shower and walk in closet. Spacious 2nd family room/game room downstairs with kitchen. Large yard with mature trees, workshop, chicken coup, 2 sheds, & fantastic play house! RV parking to the side with city water and sewer hook ups. Seller is offering a $3000 carpet allowance to help freshen the place up! Water share included with the transfer of the property. Square footage figures are provided as a courtesy estimate only and were obtained from County records & builders plans. Buyer is advised to obtain an independent measurement." "This is our Lauren floor plan. Gorgeous open and Spacious rambler. OUR Standard Features are the other guy's Upgrades! Stunning euro glass master tile shower, 3 tone paint, 42uppers, stained knotty alder soft close cabinetry, vaulted ceilings including the master bedroom, recessed lighting everywhere and a gorgeous stained banister with a rod iron railing. Beautiful stained mantel surrounding the fireplace. Stainless steel appliances AND refrigerator INCLUDED! MUCH MUCH MORE! The lot is partially fenced! This home is in our Saddle Horn subdivision. NO HOA! The floor plan is customizable. TOTAL BUILD TIME IS APPROXIMATELY 90 DAYS! More floor plans and lots available Buyer and Buyer's agent to verify all. " "This 2.5 year old house is Certified Energy Efficient plus has solar panels for low utility bills! 1 pressurized water share. Large open kitchen and large great room. Fully Fenced (worth 10K) Plantation Shutters; High end Quartz; Stainless Steel Appliances; Staggered cabinets w/ crown molding; Convenient Mudroom; 6 Upgraded Molding; Walk-In Closet; SMART Features include - 2x6 Exterior Construction; Blown In Fiberglass Insulation (R23 Value); ALL Low E Windows; 95% Efficient Furnace; High Recovery Hot Water Heater; Energy Star Compact Fluorescent Lights; NEST Learning Thermostat; Ceiling Fans; and much more! Driveway sealed and no salt use; Sq ft fig provided as a courtesy est only and obtained from builder plans. Buyer is advised to obtain an independent measurement." "This immaculately clean Rambler features a Great Room layout. Large Master Bedroom with a huge Walk-In Closet. Master Bathroom has a separate tub/bath. Main Level Laundry. Main Living Area and Master Bedroom are vaulted. 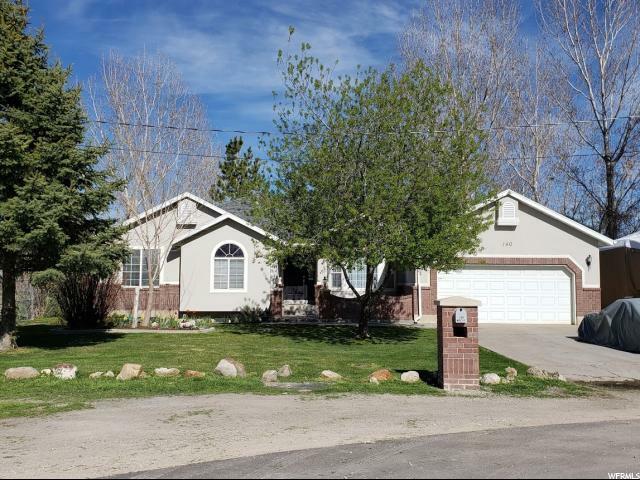 RV parking runs from the street to the rear property line of the home! Extra tall garage door on the tandem garage for your longer and taller toys! Water share included with the transfer of the property. " "Brand new construction in Carriage Crossing. This is a must see with a quartz kitchen with white shaker cabinetry and large island. Light and open floor plan. Full master suite. Covered back patio all on a 3/4 acre lot. Show & Sell!!" 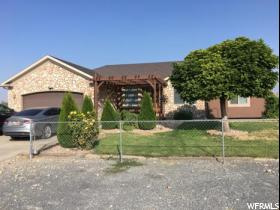 "** GREAT VALUE- MOVE IN READY! Beautiful Courtney Floor Plan in Anderson Ranch! Main Floor Living! Half Acre Lot! Gourmet kitchen with granite countertops. Beautiful upgraded wood floors throughout home. Custom tile in master shower. Visit the Model at 781 E Welles Cannon Rd. Summer: Monday- Friday 12-7 & Saturday 11-5 Winter: Monday- Friday 12- Dusk & Saturday 11-4"
"Gorgeous open and spacious rambler! This is our Natalie floor plan. This home comes with 42high uppers, stained knotty alder soft close cabinetry. Vaulted ceilings including the master bedroom, recessed lighting eveywhere and a gorgeous stained bainster with a rod iron railing. Beautiful Rock wall surrounding the fireplace with a floating mantel. Stainless steel appliances AND refrigerator INCLUDED! The lot is partially fenced, this home is in our Saddle Horn Subdivision, NO HOA. Limited Lots that will go fast! Buyer/Buyers agent to verify all."